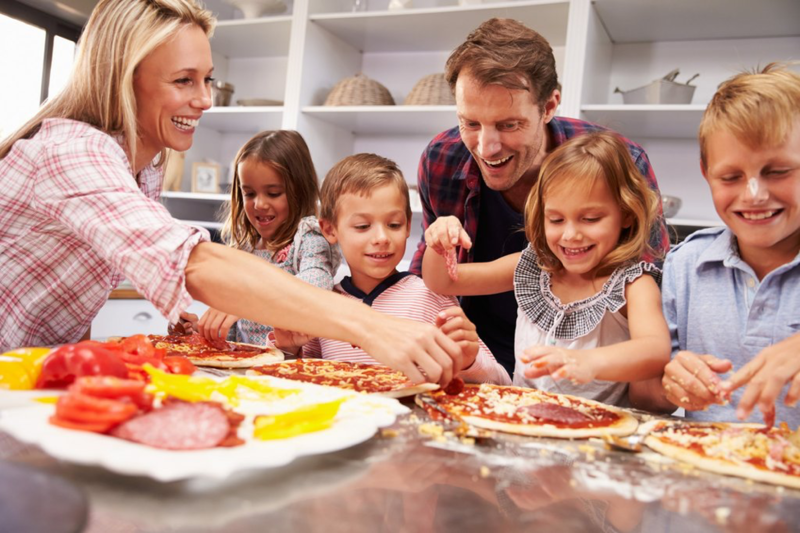 When you’re preparing meals for an entire family, it can easily feel like a full-time job. However, cooking is usually one of the many tasks on the list of things to do. If you don’t want to always lean on fast food to feed your family, stick with these three tips and build from there. You can’t do everything at once. However, you can use tools to help you get more done. Purchase a rice cooker and a crockpot. Add vegetable, beef or chicken stock to the rice cooker along with spices like cajun seasoning. . Add the right amount of rice and allow it to cook on its own. Rice is one of the staple side dishes your family can enjoy at dinner time. There are so many dishes you can easily make in the crockpot. If you have a large crockpot, you can easily season a turkey or chicken and let it slow cook for a few hours. Once it’s done, you’ll have meat that falls off the bone. Prepare large entrees and freeze them. Pasta dishes are typically really delicious and easy to prepare. Pasta takes eight minutes to prepare on the stove top. Then, add layers of pasta, ricotta cheese and tomato sauce to a casserole dish. Add in awesome fresh herbs like parsley and garlic. Once you’ve prepared casserole, cut it up into portions and freeze the portions you won’t use during the first few days of the week. The night before you’re ready to use the frozen portions, place them in the fridge to defrost. You can enjoy home-cooked, inexpensive gourmet meals from the comfort of your home. Maintain tons of fresh side dishes. It’s really easy to wash a few strawberries and add them to the top of your children’s cereal bowls in the morning. Along with a banana, you and your family can enjoy the fresh foods at each meal. Purchase pre-packaged salads and throw them into a bowl at dinnertime. It’ll be easy to enjoy salads along with the meat and rice. You can also enjoy the salad along with the casserole and pre=made garlic bread.